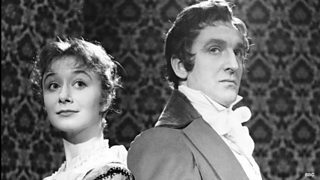 Today marks 20 years since the opening episode of the BBC's landmark adaptation of Pride and Prejudice was first screened. 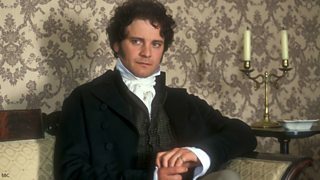 It has since become the definitive television version of Jane Austen's classic, partly down to Colin Firth's smouldering portrayal of Mr Darcy - and the heart-stopping moment when he emerged from a swim in his dripping wet shirt. However, this isn't the only time the BBC has brought this tale to television. Here's a quick walk through the listings and the Pride and Prejudices of yesteryear. The 1980 adaptation of the classic story starred Elizabeth Garvie as heroine Elizabeth Bennet. One of her sisters Mary was played by Tessa Peake-Jones, who later starred in Only Fools and Horses. The advent of the 1967 BBC television version of Pride and Prejudice was marked with a Radio Times front cover. In the lead roles were Celia Bannerman as Elizabeth Bennet and Lewis Fiander as Mr Darcy. In the 1950s viewers were treated to not one but two adaptations of Austen's tale. In 1958 a six-part extravaganza was screened, starring Jane Downs and Alan Badel. 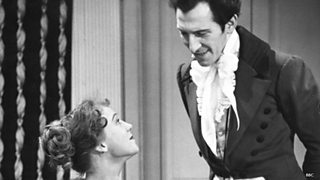 In 1952, the dashing hero was played by none other than Peter Cushing, best remembered for his ghoulish creations in a string of Hammer films.